These Hollow Hearts Cover Reveal! We can’t wait to release the stories of the Murphey sisters from the Enchanted trilogy in one book! To get you looking forward to it too, we’re unveiling the cover for These Hollow Hearts! We hope you love it as much as we do. New Orleans social climber, Cheyanne Murphey has worked too hard to let her fianceé’s wandering eye drag her name through the gutter, and she has the perfect solution to make him stay: an incantation from her deceased Granny’s spell book. Family legend says the Murphey women’s magic is cursed, but that is a risk Cheyanne is willing to take. 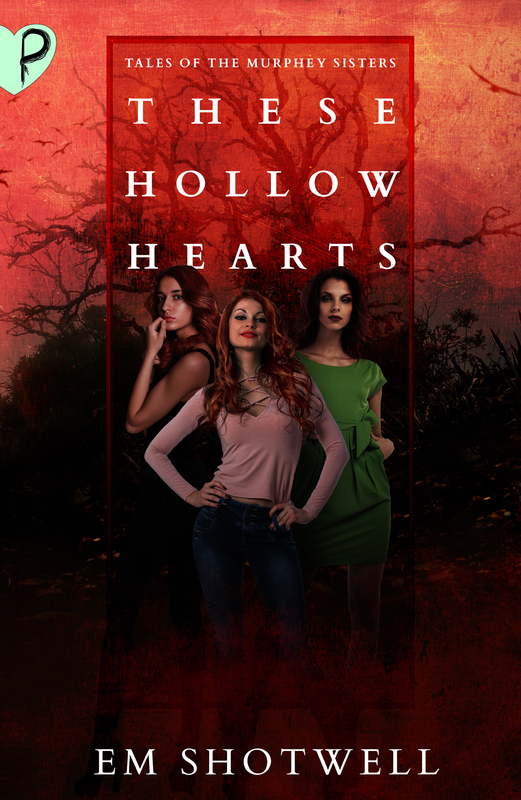 Add These Hollow Hearts to your Goodreads list today!